If you live anywhere in Western Sydney and you wanna riff like Richards, funk like Flea, cantata like Carulli or shred like Satriani, you've come to the right place! 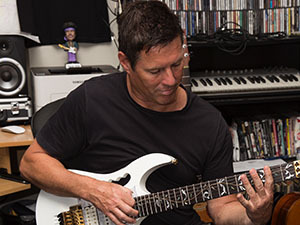 The Campbelltown Academy of Guitar caters to most guitar styles and provides guitar and bass lessons to players of all ages and all levels of ability. For over 30 years, the Academy has been sucessfully conducting lessons for locals from Campbelltown, Macarthur, Ingleburn, Narellan, Camden and beyond. If you’re buying your first guitar and are unsure what option best suits you, feel free to use one of the Academy’s guitars at your lesson. This will help you make a more informed decision before purchasing your first instrument. © Campbelltown Academy of Guitar. 7B/138 Queen Street, Campbelltown NSW 2560, Australia.